Trees add to the beauty and aesthetics of your property and provide plenty of shade; they help cool the environment and improve air quality in your immediate surroundings. But these features are exposed to the elements and there are times when very stormy weather uproots them from the ground or they get struck by lightning, break and come crashing to the ground. This is when you start looking for “tree removal Waverton service near me” online. An internet search such as this will pull up a number of search results and you will find there are several companies in your local area that provide tree removals Waverton. While it’s a good thing to have easy access to information as well as tree removal experts, it can become very difficult to identify which company would be able to provide reliable, safe tree removal services. These are some of the reasons why people would need to hire tree removal services Waverton. 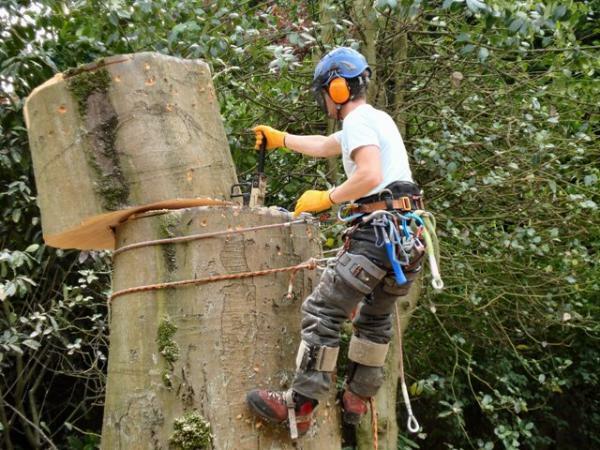 We handle this job expertly and once the tree has been safely removed, will also grind the stump to the ground so it doesn’t become a tripping hazard in the landscape. All the foliage, branches and tree trunk pieces will be removed and disposed of responsibly. While we provide very high-grade solutions, you will find that our cost of tree removal Waverton is very reasonable. For any additional information about the types of tree removal Waverton we provide, all you have to do is call North Sydney Tree Services on this number 0429 399 399. You also have the option to email us your queries or request for a free quote via this Contact Us form. With us, you are always assured of the best services.